CHARLESTON, W.Va. — The West Virginia Press Association Foundation is now accepting applications for 2019 Summer Internships at West Virginia newspapers and 2018-19 college scholarships. If awarded, there will be three $3,000 paid internships. The WVPAF also assist with unpaid internships at newspapers across West Virginia. 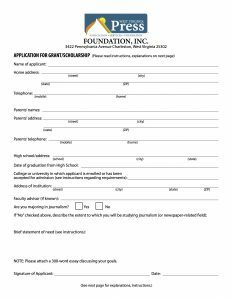 If scholarships are awarded, the WVPAF provides college scholarships up to $1,000. 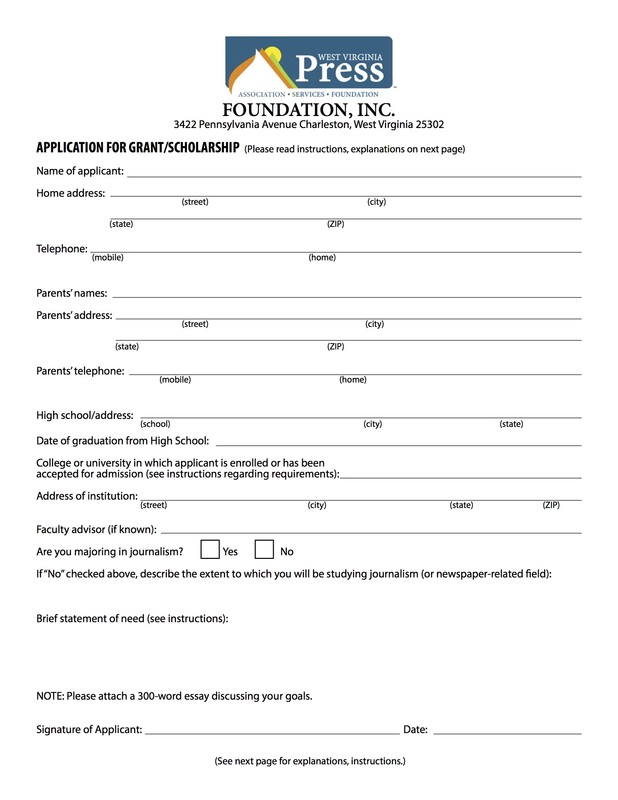 Application deadline is May 1, 2019. NOTE: WVPA member newspapers interested in hosting an Foundation intern should contact Don Smith, executive director of the WVPA, at donsmith@wvpress.org or 304-342-1011. If the newspaper has contacted a student about an internship, the newspaper should have the student complete and submit the application. The programs are open to journalism majors and students in related fields such as business management, human resources, advertising, social media and marketing. Preference will be given to students in at least their sophomore year of college. Once the PDF application file is downloaded to the desktop, the application can be electronically completed and emailed. For additional information or to have the applications mailed, call Executive Director Don Smith at 304-342-1011, ext. 160, or write to: WV Press Association Foundation, 3422 Pennsylvania Ave., Charleston, WV, 25302.